Walt Disney Pictures presents Eight Below, the thrilling tale of incredible friendship between eight amazing sled dogs and their guide Jerry (Paul Walker). Stranded in Antarctica during the most unforgiving winter on the planet, Jerry's beloved sled dogs must learn to survive together until Jerry-who will stop at nothing to rescues them. Driven by unwavering bonds of friendship, enormous belief in one another, and tremendous courage, Jerry and the dogs make an incredible journey to reunite in this triumphant and inspiring action-adventure the whole family will treasure. $24.968 million on 3066 screens. As I write this with my beloved old pooch Oatmeal at my side, I find it tough to deny that I adore dogs. I’m a sucker for anything related to them, and that goes for movies as well. Sometimes, at least. Adding dogs to a crummy film won’t make it any less terrible, though I suppose the canine presence might allow me to better tolerate otherwise atrocious filmmaking. With this attitude I decided to give 2006’s Eight Below a shot. Set in the frigid climes of Antarctica, we meet the residents of a National Science Foundation research base. This group includes Jerry Shepard (Paul Walker), the guide of an octet of sled dogs, pilot Katie (Moon Bloodgood) and cartographer/mechanic Charlie Cooper (Jason Biggs), NSF science director Dr. Andy Harrison (Gerard Plunkett), and field coordinator Dr. Rosemary Paris (Belinda Metz). Into their circle comes researcher Dr. Davis McClaren (Bruce Greenwood), there to search for a meteorite. This will send him to Mt. Melbourne, a precarious destination given the lateness of the season. With thin ice on the route, the dogs are the only possible method of transportation, and even that seems risky. Under orders and against his instincts, Jerry agrees to the expedition. He and McClaren head out toward Mt. Melbourne and make it there without too much fuss. Problematic weather cuts short their stay on Melbourne, though they stay a little longer than planned when McClaren convinced Jerry to give him an extra half a day to find his space rock. Bad move! First McClaren slips into a hole, breaks his legs, and winds up in frigid water. Then the storm zaps the whole crew and makes their return more difficult. Though they arrive, their circumstances mean they need to leave camp quickly. Initially they can’t take the sled dogs with them, but Jerry vows to return to get them. 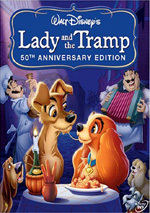 The rest of the movie follows the dogs’ attempts to survive and Jerry’s path to rescue them. Director Frank Marshall came up as an associate of Steven Spielberg. Marshall worked as producer on all three Indiana Jones flicks as well as all of Spielberg’s 1981-1991 movies. He also produced big movies like Back to the Future and The Sixth Sense. Unfortunately, as a director, it seems that Marshall took away Spielberg’s worst tendencies but few of his positives. Marshall tends toward sappy sentiment but doesn’t show much flair for action or adventure. He adopts Spielberg’s more saccharine side but can’t pull of Big Steve’s ability to make his stories soar. I was surprised to see that Below was only Marshall’s fourth directorial effort. He’d not helmed a flick since 1995’s bomb Congo. Previously, he made 1990’s Arachnophobia and 1993’s Alive. Of these four, only Arachnophobia stands as a fun movie. Marshall created a lively, creepy-crawly adventure that lacked depth but packed enough fun to make it work. That wasn’t the case with the more tedious Congo and Alive, both of which proved eminently forgettable. This same lack of personality mars Below. When it sticks with the dogs, it manages to involve and entertain. The pooches display a lot of personality and character, as they manage to allow us to differentiate one from the other. The movie touches on real emotion via their relationships and attempts to survive. Unfortunately, too much of Below sticks with Mopey Jerry and his quest. Of course, as a dog-lover, I strongly support his cause. However, does he need to be so boring while this happens? I don’t blame Walker. He’s perfectly acceptable as Jerry, though he doesn’t bring out much personality. Nonetheless, the main concern comes from the film’s pacing. At 120 minutes, it seems awfully long for this sort of story, and too much of that focuses on tedious shots of Jerry back in the “real world”. We only get dollops of the dogs, even though they’re 100 times more interesting than their human leader. Coupled with a generally predictable story, that factor hampers Below. The movie just doesn’t do much to sweep up the viewer in its tale. The brief shots of the dogs tease us with their fun and adventure, but then we head back to Jerry and his doldrums. Lose 20 minutes of those scenes and Below might become more entertaining. As it stands, this is an erratic movie without enough life to make it work. 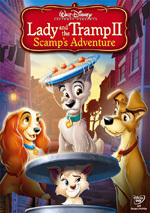 Footnote: The movie trumpets being “based on a true story”, but nowhere in the DVD’s supplements will you hear mention of any real-life adventure used as the launching point for the film. Perhaps “based on a true story” means that it’s true dogs exist and there’s such a place as Antarctica. If Below has any true-to-life antecedent, this disc won’t tell you about it. 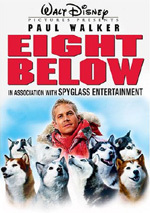 Eight Below appears in an aspect ratio of approximately 2.40:1 on this single-sided, double-layered DVD; the image has been enhanced for 16X9 televisions. While no serious concerns appeared, the transfer was a little lackluster at times. Some light edge enhancement marred the presentation. This led to moderately soft wide shots at times. Though most of the movie offered pretty good clarity and delineation, I saw enough fuzziness to create distractions. No issues with jagged edges or shimmering occurred, and I noticed no source defects from this clean image. Given the snowy setting, colors didn’t play a huge role. The hues we saw looked accurate and concise, at least. They contrasted well with all the whiteness. Blacks seemed deep and firm, and the smattering of low-light shots appeared clear and smooth. Were it not for the softness it caused, this would have been a top-notch transfer. An action/adventure needs a bold soundtrack, and the Dolby Digital 5.1 audio of Eight Below occasionally lived up to expectations. As expected, the movie’s more intense sequences offered the most interesting material. Storms and other frigid fare created a good sense of place and involvement as they could pack a nice wallop. The rest of the film showed nice environmental information that allowed us to feel meshed in the various places. Audio quality was strong. Speech always remained natural and concise, and the score showed solid range and clarity. Effects also came across as clean and accurate. They displayed punch when necessary and always seemed well represented. This was a consistently positive mix. As we move to the supplements, we open with two separate audio commentaries. The first comes from director Frank Marshall and producer Pat Crowley, both of whom sit together for this running, screen-specific discussion. They offer a good mix of topics. We hear about working with the dogs, locations and attempts to recreate Antarctica, cast and performances, characters and story, issues with weather, and other production specifics. I can’t call this a rollicking commentary, but Marshall and Crowley interact well and make the track move at a reasonable rate. They touch on the issues we’d expect and deliver good detail. This winds up as a useful and informative piece. For the second commentary, we hear from Marshall, actor Paul Walker and director of photography Don Burgess. For the first 35 minutes and 45 seconds, we get a running, screen-specific piece with Marshall and Walker. After that, Walker disappears and doesn’t return until the 1:37:58 mark. In between, the director and Burgess sit together for a running, screen-specific discussion that follows those parts of the film. Don’t expect much new information here. The topics usually recreate those covered in the first commentary, and we hear more than a few of the same statements and facts. This is especially true during the segments with Walker. The actor adds his own perspective on the shoot and working with the dogs, but we don’t learn much that doesn’t already appear in the first commentary. The parts with Marshall and Burgess get more technical and broaden somewhat. We still find more than a little repetition along with some dead air, but we get new information about subjects like cinematography and camera specifics, lighting, and dealing with the mechanical challenges of the frigid climate. This commentary includes a smattering of decent notes, but it’s too slow and repetitive to be terribly worthwhile. A 10-minute and 42-second featurette comes next. Running with the Dogs: The Making of Eight Below includes movie clips, shots from the set, and interviews. We find comments from Marshall, Walker, Crowley, writer Dave DiGilio, dog trainers Tammy V. Blackburn and Thomas L. Gunderson, animal trainer Mark Forbes, head animal trainer Mike Alexander, sled dog musher Jamie Ross, producer David Hoberman and actors Moon Bloodgood, Jason Biggs, and Bruce Greenwood. The show looks at attempts to recreate Antarctica in Canada and elsewhere, casting the dogs and their work and training, and logistical and weather headaches. As a short promotional show, there’s a lot of fluff on display in “Running”. That said, we get some nice behind the scenes bits and learn some decent info about the dogs. Though the piece remains oriented at selling the movie, it proves watchable. Five Deleted Scenes fill a total of nine minutes, 30 seconds. These open with a spoken introduction from Marshall as he lets us know what to expect. The segments themselves include “Breakfast at the Base” (one minute, 28 seconds), “Russian Fish Hut” (4:37), “Jerry Wants to Stay” (1:18), “Cooper Throws Up” (1:17) and “Jerry Meets Captain” (0:50). “Breakfast” offers an alternate introduction to the base’s crew, while “Hut” gives us a little more exposition. “Stay” and “Cooper” add just a bit of broadening as well, while “Captain” shows Jerry’s first encounter with the leader of the ice-breaking ship. All of these clips are pretty lackluster, as they don’t bring out anything that would help the story or the movie. We can watch these with or without commentary from Marshall. He gives us some general story notes about the scenes and lets us know why he excised the clips. That makes his discussion useful. 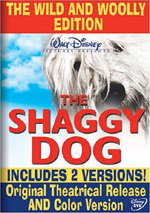 This disc begins with ads for releases of The Little Mermaid, Pirates of the Caribbean: Dead Man’s Chest, The Shaggy Dog, and Airbuddies. Meet the Robinsons, That’s So Raven: Raven’s Makeover Madness, and High School Musical. In addition, all of these and previews for Leroy & Stitch The Fox and the Hound, High School Musical and Brother Bear 2 appear in the Sneak Peeks section. As a dog-lover, I hoped to enjoy Eight Below. Unfortunately, it offered too few shots of the pups and too much time with the boring human characters. This made the overall result slow and less than scintillating. The DVD provides erratic but generally solid picture along with good audio and a few quality extras. Below has its moments but never coalesces into a winner.